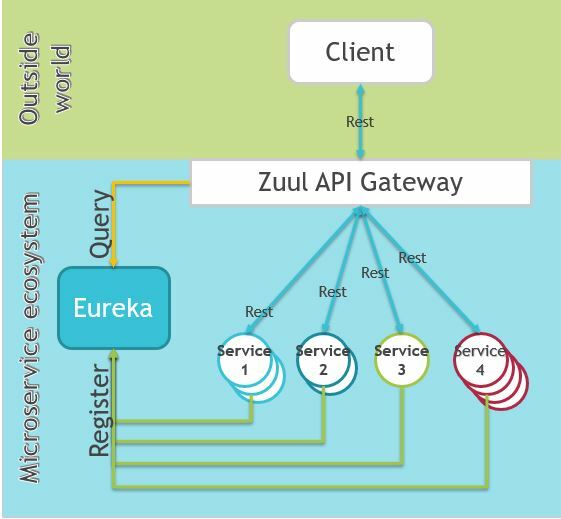 The Zuul API Gateway is part of the Netflix OSS package. It is very lightweight and integrates well with Eureka. API Gateway is the single entry point into the microservice ecosystem from the outside world. This is very convenient, but can be dangerous because exposes every service even if if one was meant to be internal only. A more fine grained approach is to enable services one by one. Could you please elaborate how the routing is happeing? Would like to know if somebody tries to access /service1 is it getting forwarded or routed to /service1?? Pingback: Zuul – Edge Server – Learn. Write. Repeat.